Pack up your soldering gun, your API handbook and your slide rule, we’re heading to Design West 2013 – where the sun is high, the booth babes look bored, and the tumbleweeds are plentiful. This week I’m chatting with Joerg Bertholdt (Director of Marketing, MCU Tools and Software – Atmel) about embedded design tools and how the right tools just might make your next embedded design a whole lot easier. Also this week, I’m breaking down my Design West swag count and investigating what the heck the semi truck on this year’s expo show floor was all about. I’m giving everyone a chance to win a BeagleBone Black courtesy of newark element14. 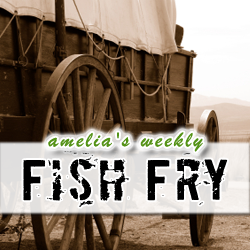 Check out this week’s episode of Fish Fry to find out how you can win.